Partner Abdulali Jiwaji has today appeared on BBC World News’ Business Live program to discuss the news that five of the world’s biggest banks are expected to collectively pay more than $6bn for allegedly manipulating foreign exchange markets. The transcript of the interview can be found below. UBS, the Swiss bank, has already revealed in a statement just what it is looking at in terms of fines. Talk us through that. 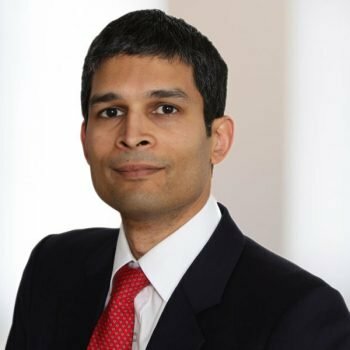 Abdulali Jiwaji: UBS has agreed terms… of broadly around $500million, and there is also a guilty plea which has been entered in respect to prior breaches in relation to the Libor scandal. I think we will today also see other settlements being announced by the other banks. UBS though got off to a degree, didn’t it, because it said in a statement that it had cooperated with the authorities in the United States? AJ: That I think bought it some credit; it went first, and in today’s market, for all banks, that’s a real factor. Where there’s been a course of conduct which is wrong, the first person to go to the authorities will get some credit. We’ve heard that it’s the parent companies of some of these banks that will now plead guilty to this manipulation. How significant is that, because there were concerns that they wanted it to be their smaller divisions, their foreign units, and that effect would prevent them from being banned in certain markets. How important is it that we are getting the parent companies doing that? AJ: Its psychologically important for the market to see the parent company on the hook for these offences. What is also true is that it is becoming more difficult for the parent companies to get the waivers that are required from regulators to be able to carry on with their business as normal. Will today draw a line under this? The legal proceedings are very complicated in all of this – there may be civil prosecutions as well? AJ: Yes, that’s right. In Europe especially, we still have criminal and competition related investigations ongoing. Importantly, we are still awaiting the outcomes of investigations into individuals – there will be regulatory and criminal actions against the individuals – and those actions will feed any future civil claims. When we talk about the entirety of this mess, we are talking about a bill of about $10billion. Who will ultimately end up paying? A lot of people are saying, frankly, this is not enough to change their behaviour. Yet, when you add it all up, £10billion is a lot of money. AJ: It is a lot of money, and the proceeds of that, will, to some extent go to the government, and there is a benefit there. The remarkable thing is that there is no regulatory redress in place – hence the need for private institutions to look at civil litigation. Read the BBC’s business live reporting stream for the 20th May 2015 here.